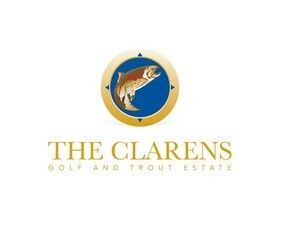 Sign-up and receive Property Email Alerts of Residential Estates in The Clarens Golf & Trout Estate, Clarens. Nestled in the foothills of the Maluti Mountains on the edge of the dramatic Golden Gate nature reserve in the Eastern Free State, the Clarens Golf & Trout Estate is one of the country's few remaining hidden property gems. Renowned for its peace, tranquility and breath-taking beauty; it sits calmly quietly in a scenic valley and is just is 2.5 hour drive from both Johannesburg and Durban. The estate features a country style 18-hole golf course that is blessed with manicured Kikuyu fairways and Bent Grass Greens. Framed by mature Willow and magnificent Lombardi poplar trees, winter often sees the Estate covered in snow; making it seem more like a postcard from Switzerland than central South Africa. The splendid series of dams and waterfalls are frequented by children and fishermen alike; popular with both residents and visitors. The village of Clarens has aptly been give the title of "Jewel of the Free State" - rich in beauty and an assortment of colours across the countryside. It attracts artists, photographers and is fast becoming home to young families and retirees alike. Besides home owners, many investors are taking advantage of the self-catering two bedroom villas; ideal for midweek getaways or holiday retreats. Guests at the villa also qualify for a substantial discount on the par 71 golf course before enjoying the sun setting on the covered patio; complete with gas braais and DSTV for the big game. Oozing privacy, serenity and small-town charm; The Clarens is an investment opportunity not to be missed.